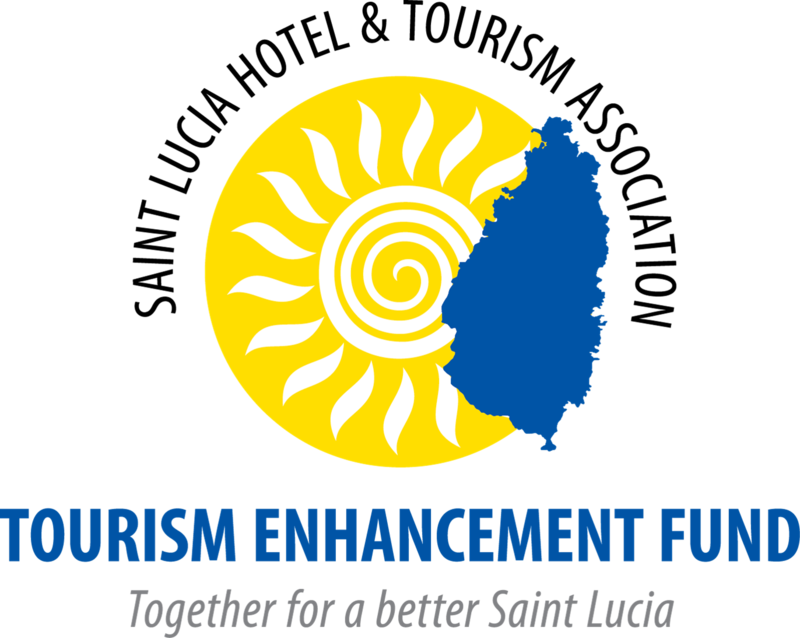 The Saint Lucia Hotel and Tourism Association (SLHTA), through its Tourism Enhancement Fund (TEF) and support from its member companies is pleased to advise of the commitment of approximately one hundred thousand dollars worth of support to victims of the tragic 2013 Christmas Eve Trough. With the kind support of Jade Mountain Resort, Serenity Vacations and Tours, Bay Gardens Resorts and Caribbean World Travel Services the TEF has funded infrastructural works, kitchen equipment, administrative, school and student supplies for the Canaries Infant School and its 80 students. 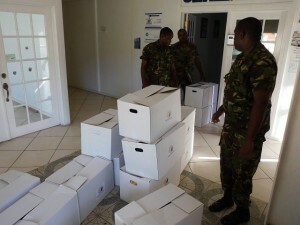 The TEF has also financed the provision of 100 food hampers to the National Emergency Management Organization (NEMO) for wider distribution, in the hope of making the lives of these victims a bit more comfortable as they continue to adjust to the loss of homes and lives during the regrettable experience. Through closer collaboration with the Ministry of Education, NEMO and other Civil Service Organizations, the SLHTA will continue to conduct such interventions over the coming months. The Tourism Enhancement Fund (TEF) was launched in October 2013 and has raised well over $1.7 million dollars. This was made possible by an outpouring of support by several hotels and visitors to the island. The level of enthusiasm which accompanies the first year of operation for the TEF signals the significant contribution which tourism can make to the social fabric of St. Lucia. Thus far, several projects have been undertaken by the fund, mainly a commitment to renovate the culinary lab at the Castries Comprehensive Secondary School, two afterschool programs in impoverished communities, support for the sourcing of a new flight from Canada and the recent beautification of Rodney Bay and its surrounding areas. On Friday, October 10th 2014 the SLHTA Tourism Enhancement Fund celebrated its first year Anniversary with a luncheon at the L’epicure Restaurant at the Royal St. Lucian by Rex Resort. The luncheon commenced at 12: 30 p.m. and several TEF Hotel participants as well as Ministers of Government joined the SLHTA to celebrate. The Chief Executive Officer of Sandals Resorts International Mr. Adam Stewart was the guest speaker and the Honorable Phillip J. Pierre, Deputy Prime Minister and Minister for Infrastructure, Port Services and Transport delivered remarks from the Government of Saint Lucia. The event was hosted under the theme “Responsible Tourism – The Way Forward for the Caribbean”. The SLHTA Secretariat would like to express profound gratitude to all our member Hotels Properties who continue to participate and support this significant initiative. GROS ISLET – In addition to disbursing over EC$300,000.00 towards community based projects over the past six months, the Tourism Enhancement Fund made its biggest pay-out on Wednesday 6th August, 2014 with four organizations benefiting collectively from over EC$650,000. These organizations include the Castries Comprehensive Secondary School, the Ministry of Social Transformation, the Saint Lucia Tourist Board and the Ministry of Agriculture. Launched in October 2013, the Tourism Enhancement Fund has netted more than EC$1.35 million due to the coming together of several hotels. 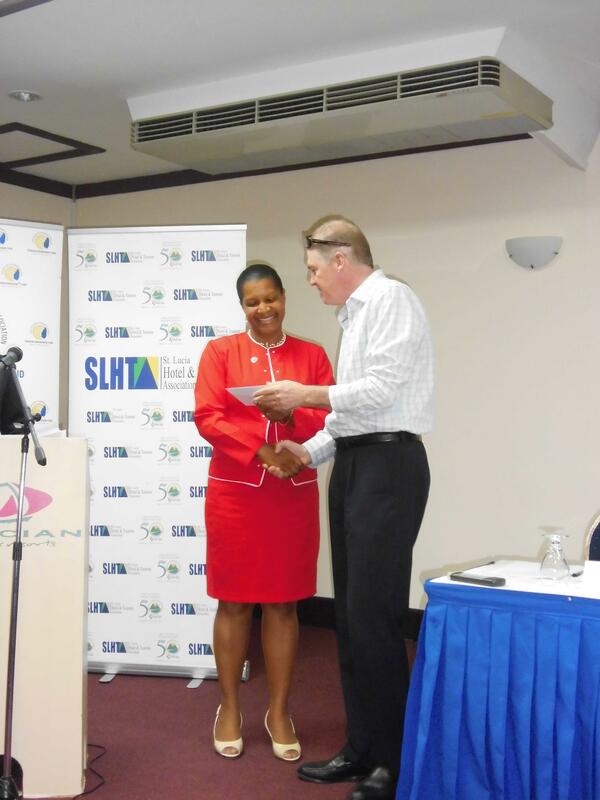 The Saint Lucia Hotel and Tourism Association (SLHTA), which manages the fund, has announced plans to aid product development, marketing and airlift across the local tourism sector. 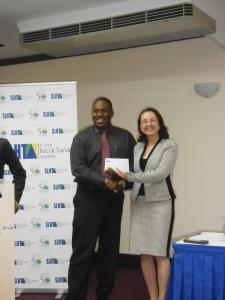 The TEF is the brainchild of SLHTA’s President Karolin Troubetzkoy. Mrs. Troubetzkoy says the fund is proud to offer letters of commitment to the four worthy ventures. “We’re very pleased and encouraged by the level of contribution we have seen thus far from our member hotels towards the Fund,” Troubetzkoy said, adding that the hotels’ interest charts a new direction for private and public sector collaboration within the tourism community. Providing details on the supported projects Yola St. Jour – Manager for Finance and Administration at the SLHTA, said the Association would be offering a letter of commitment to the Castries Comprehensive Secondary School for the completion of a fully functioning culinary lab. She said the Fund has also distributed a letter of commitment to the Ministry of Social Transformation for the implementation of after school programs in two depressed communities. The Saint Lucia Tourist board has also received an US$192,000 commitment for a minimum revenue guarantee towards increased airlift out of the North American market, which is expected to stimulate growth out of that market. Beneficiaries of the fund expressed gratitude at the conference, citing the contributions as timely and pivotal. On Friday 14th February 2014, the SLHTA’s Executive Vice President and Project Assistant, visited the Canaries Primary School and Canaries Infant School to assess the completion of works commissioned with the kind donations from the SLHTA membership and get a first hand indication of outstanding needs. Both schools suffered tremendous damage as a result of the 2013 Christmas Eve trough. Relief was provided under the SLHTA’s Tourism Enhancement Fund (TEF)and the kind donations of visitors and SLHTA Member companies. Barely four months old, the TEF has been able to undertake relief efforts through infrastructural and other works in Canaries to support the relocation of our Canaries Infant School. 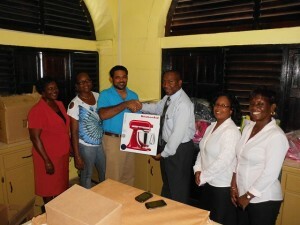 When the Saint Lucia Hotel and Tourism Association was notified by the Ministry of Education that the school had lost all its kitchen equipment in the flood, the TEF pledged $50,000 to relief efforts and immediately reached out to member hotels and allied member companies for matching support and raised an additional $40,000 through donations from guests. Bay Gardens Resorts, Anse Chastanet and Jade Mountain Hotels, Habitat Terrace and many other small hotels, Allied Members such as Serenity Tours, Barefoot Holidays, Sunlink Tours and many others rushed to answer the call and within two short weeks the industry provided stove, fridge, food mixers and other kitchen equipment, dining ware and school supplies to ensure all 80 infants who are students of the Infant school were able to return to school and not have to worry about their school feeding program or learning environment but focus solely on learning. When the SLHTA’s Executive Vice President visited the Infant School and realized that the dining area was unsuitable for the infants to dine in, he again reached out to Jade Mountain for assistance and received a generous donation of $34,000 dollars to use for construction of dining tables and an extension under which the kids can now eat in comfort. To date other hotels and companies have independently provided donations of water, mattresses, clothes and food items. Today requests are still pouring in for more support and the SLHTA continues to rally its membership for further donations.